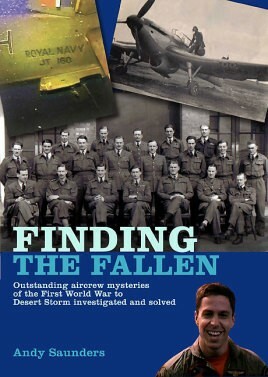 The logical successor to the highly acclaimed Finding the Few and Finding the Foe, this new work covers a selection of similar mysteries involving missing aircrew and spanning almost the entire twentieth century. Starting with a reappraisal of the Mannock affair, the author highlights the fates variously of RAF, USAF, Luftwaffe personnel from bomber, reconnaissance and fighter crews. Each case is examined with a microscopic and forensic approach worthy of Silent Witness, and evaluates the detective work involved in unraveling these long-unsolved disappearances of lost airmen. In many cases there is a satisfactory conclusion with ‘closure’ achieved – although some question marks are left hanging unanswered over other equally fascinating cases. Every bit as intriguing as Andy’s earlier works, this is destined to be equally well received and avidly awaited.